“Book/Paper proposal in [subject area] / [author name: Working title]. The purpose of your publication: State the purpose of writing your book/paper to highlight its scholarly and practical value and to “serve” the need for the publication. Consider your audience: Frame your proposal to “speak” to the intended audience. Clear articulation: Be clear in your statements and in the organization of your work to help us understand the structure of your arguments in your proposal. For example, the title and the sections of your publication should be clear and articulated with the relevant terminology. Editor review: The Editor will review the content and the framing of your proposal, its relevance with the field, and will work with you to set timelines. 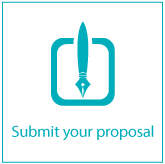 External review: All proposals are reviewed by external reviewers that are experts in the field of your topic for feedback on the content, framing, and structure. Manuscript appropriation: The Editor will work with you to help you incorporate feedback and appropriate the content and structure of your work for the needs of the target audience. Presentation to the Editorial Board: After the finalization of the work, a presentation to the Editorial Board will follow. A work plan will be prepared and approved. As soon as your proposal is approved, a contract between CARDET Press and the author(s) is agreed. The contract contains important information on final submission date, estimated number of pages, rates of payments/royalties, and other information relevant to the preparation of your work.